The last year for the Best Buy outfits was 1982. The Best Buys were replaced by the Fashion Fun outfits, which were sold from 1983 to 1987. During their first two years, each of the outfits were named. With one exception, none of the outfits were carried over into the next year. This exception was a swimsuit/sarong combo called Fun in the Sun. Here are its three versions in the clothing booklets, each time with a new stock number! 4801 from 1984, with a swimsuit shown in flag blue and orange-red. 7908 from 1985, with a swimsuit shown in a deeper blue and a wild print. 2093 from 1986, with a swimsuit shown in yellow and red, and a shorter sarong with a sailboat print. I've also seen photos on the Internet for 1987's 2867. The packaging shows Tropical Barbie in her original swimsuit, and these 1987 versions were probably Kmart exclusives. There were color variations each year, so I have idea how many versions of this swimsuit actually exist. July 19, 2014: I have an update for this column. 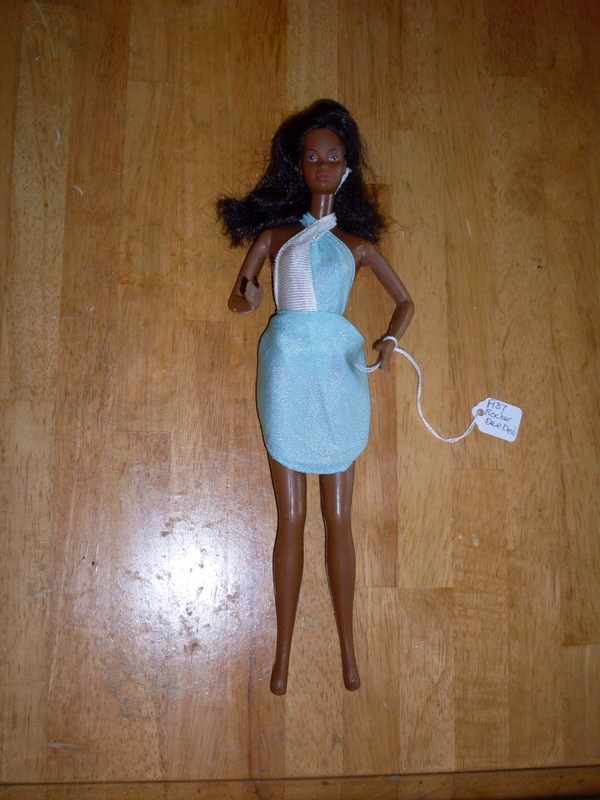 I had forgotten I had one of the 1987 swimsuits, because it is on a doll I have for sale at etsy. I placed it on 1987's Dancing Rocker DeeDee. This set is sky blue and white. The swimsuit is a little skimpy in fabric, which is why I crossed the ties in front of her neck. Here is the link for the listing. I really like this new article defending Barbie dolls. Usually I will find an article that talks about how Barbie dolls caused the downfall of girlhood, and the comments following will defend the doll. Ironically, this article and its comments are just the opposite!